Hello and welcome to Decapod. Thanks for joining us! We are anxious to start sharing our research, and hope you will find this blog to be informative, inspiring, and fun. It’s a great time of year to launch with the upcoming holidays – a time when your home becomes a special place to create lasting memories with friends and family. As Interior Designers we are introduced to new products and talented artisans all the time. We want to share our resources and provide a little inspiration in the hopes that the next time you renovate – you won’t just pick any old product from any old big box store. Your home should reveal you, and more importantly provide a healthy nest for those you love. Now for a little background before we get started. Did you know that the level of carbon-based chemicals (VOCs) is generally 2-5 times greater indoors, than outdoors? And that VOCs can cause a range of acute short-term and chronic long-term health issues for you and your family? There is no formula to determine how products, levels, and exposure will impact you personally, so the best course of action is to educate yourself about the products that you literally breathe everyday. To us, sustainable design means selecting products that are closest to their natural state, are non-toxic, independent of non-renewable energy sources, and won’t sit in a landfill forever when they are disposed of. That’s a lot to ask when we are also looking for durability and low maintenance, but they exist and we are set on finding them. While every product we post won’t necessarily meet all of our criteria, every little step you take only is a benefit to you, and the rest of us in the long run. At the bottom of each of our entries, we are including symbols that will help you quickly identify the sustainable aspects of each product. Artisans also hold a special place in our hearts. Those who create amazing things using their skills, experiences, and emotions – who provide us with unique keepsakes we can display in our homes and reveal something about who we are. The items that have a personal and emotional connection are the ones we hang on to rather than send to a yard sale or trash can. We’ll be talking about those who make cool stuff right here in the USA for a little more inspiration, cause we all have a little artist in us. Why the name Decapod? We love the word because it sounds like *decorated pod. 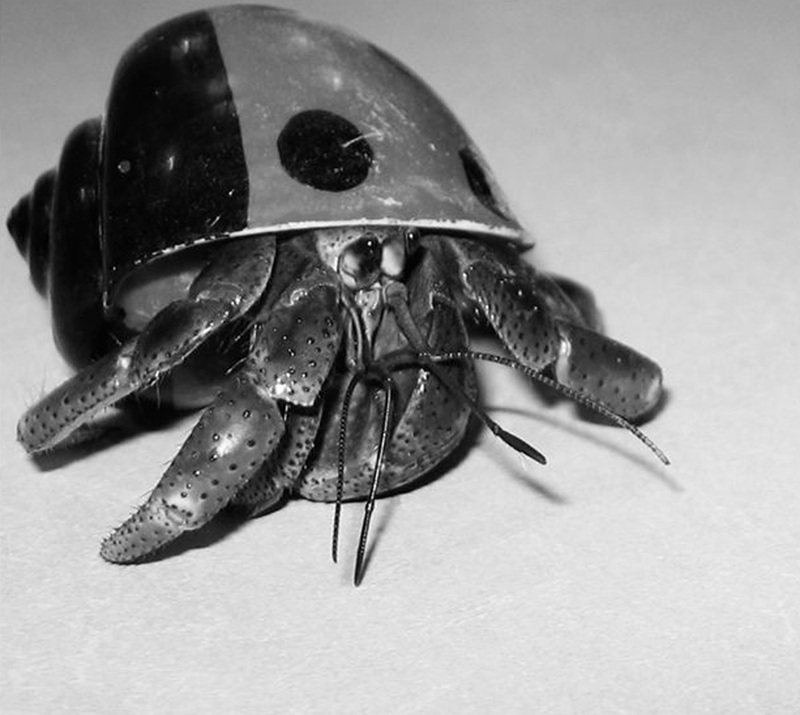 * We also think the hermit crab is great source of inspiration for sustainability and the home… a little creature that seeks out a vacated shell to fulfill his own changing needs. Sounds like something we’ve done quite a bit! The concept of moving into a space someone else used to call home is recycling in a big way, and provides an opportunity to get really creative with space and materials to make it your own. We hope this blog gives you some great inspiration the next time you renovate. Stay tuned for our first product post! And we promise the ones to come will be much shorter.